Simpson Mill as it looked in about 1898. 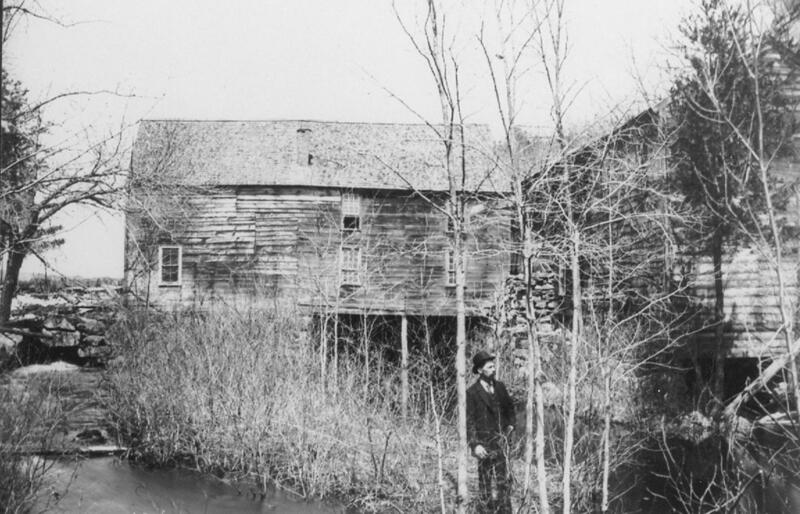 The photographs above and below were taken in 1898 and shows Simpson’s Mill. Joseph Simpson, “a fine carpenter and millwright being very ingenious” built a mill here in 1788-89 which was owned by shareholders. Thomas W. Simpson, who was no relation to Joseph, operated a grist-mill, saw-mill and lumber-mill here for much of the 19th century. He improved and added to the buildings. When the Simpsons operated the mill, the pond was known by the name of Simpson’s Pond. As most of you know, the Deer Leap conservation land abuts this pond. According to Morrison, ”Deer Ledge lies north of J.W. Simpson’s pond, and is situated on the high, romantic, and precipitous sides of the hill of ledges. Its name is derived from the traditional fact, that an Indian drove a deer over the precipitous sides of this ledge into the water. The pond was called Deer-ledge Pond. I don’t know how the name morphed from Deer Ledge to Deer Leap but it did at some point. 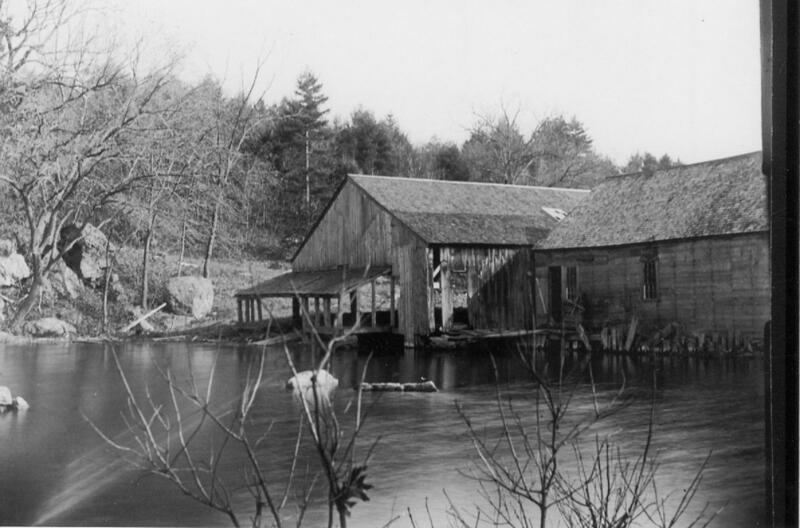 The foundation of Simpson’s Mill with Mill-Stones in water. This entry was posted in Uncategorized and tagged deer leap, Joseph Simpson, Moeckel Pond, Thomas Simpson, Windham NH. Bookmark the permalink.